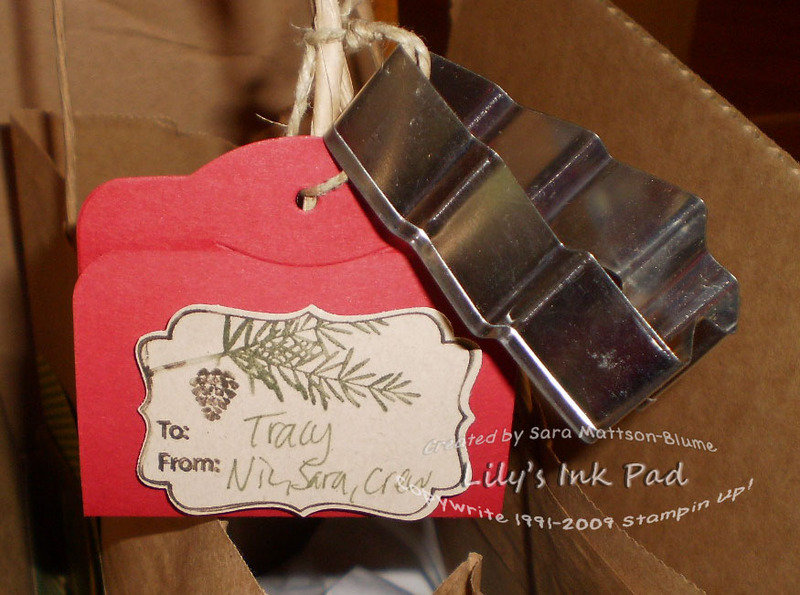 Lily's Ink Pad: Easy Tags for Presents! 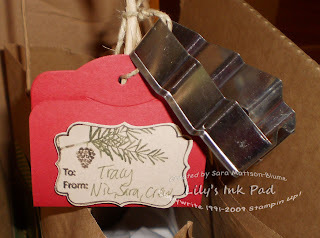 The easy button is my best friend this season and the project I am going to share today, might be one that you can copy as you wrap those last minute gifts! 1. Use Big Shot to cut out tag. 2. Use markers to ink up stamp. 7. Add cookie cutter for fun. I know you can all handle this project, but in case the Christmas Eve Frenzy has taken over your stressed brain, I included directions. Cute idea! Love the cookie cutter with it! Super cute!! Easy is good! Cute idea is right! Love it! Add chocolate inside cookie cutter like someone posted on SC? Your cookie cutter reminded me... Mmmmmmm!